As the residential and commercial real estate markets continue their slow climb back to health, many of our client general contractors are now finding themselves working with developers whose ongoing financial viability has fallen into serious peril. Some of these developers have filed for Chapter 11 bankruptcy, typically to remain operating their projects and/or to stave off a lender foreclosure. The ensuing bankruptcy court litigation may take years to unfold and consume large sums in legal fees. What should a contractor expect when a developer files for bankruptcy? 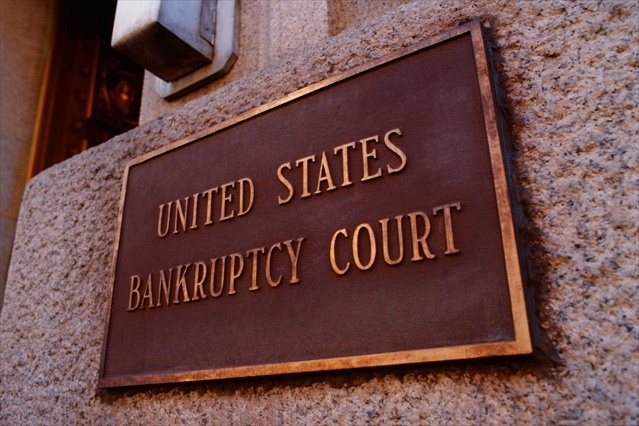 First, it is important to quickly consult with an attorney specializing in bankruptcy. We emphasize “quickly” due to the fact that when a project owner files for bankruptcy, it is likely that certain significant decisions over what will occur with the project going forward and how the contractors will be paid may be made immediately after the bankruptcy is filed. There are crucial decisions that are made in the bankruptcy case which require that the contractors participate in the court process in order to best protect their ability to get paid. It is prudent for the contractor to have a plan in place before a developer files bankruptcy in order to adequately preserve the contractor’s rights. Generally, in bankruptcy, secured creditors get paid first and unsecured creditors get paid at a discount from what remains in the bankruptcy estate. Therefore, obtaining a security interest in the project or other assets of the developer provides an advantage to the contractor once the developer files bankruptcy. Immediately upon the filing of a bankruptcy petition by the developer, its assets go into what is called the “bankruptcy estate” and the “automatic stay” goes into effect. The automatic stay prohibits creditors, such as contractors, from taking any action to collect amounts due from the debtor/developer, and it is broadly construed. Collection activity in violation of the automatic stay is often met with sanctions being imposed against the creditor by the bankruptcy court. If a contractor continues to work on a project for an owner that has filed for Chapter 11 protection, then it is wise to undertake measures to protect the contractor’s right to payment for current work. Although the automatic stay and preference rules prevent a contractor from collecting on pre-bankruptcy sums due, these rules do not apply to work that a contractor performs or materials furnished after the bankruptcy case is filed and while the case is pending. To best protect a contractor’s interest, the bankruptcy case should be monitored to ensure that the claims against the developer are properly listed and classified (as secured, for example). Another important element in a bankruptcy case for a contractor to look for is the Chapter 11 debtor’s right to either assume or reject the construction contract at any time before the confirmation of the debtor’s reorganization plan. This event could take several months. To assume the contract, the debtor is required to cure all defaults, which means paying the contractor and the contractor’s subs and suppliers in full. Additionally, as a condition to assumption, the debtor is required to provide adequate assurances that it will make the future payments on the contract. With that said, for the contractors with financially troubled developer clients, it’s important that they give serious consideration to the possibility of negotiating a workout settlement for a lesser sum than they are owed in order to avoid being one of many creditors in a possible future bankruptcy. Once they get the first indication of financial strains from the developer, they should consider the possibility of meeting the situation head-on with their client and seek an out-of-court workout. In general, most contractors will typically fare better by negotiating a workout settlement rather than going through the Chapter 11 bankruptcy process to collect on their debt. Once the developer is in bankruptcy, all bets are off. There will be a number of creditors, and the entire matter is under the control of a federal bankruptcy court and, perhaps, a Chapter 11 trustee assigned to administer the developer’s case. Also, the developer’s legal fees will erode a great deal of the funds that it has remaining to pay its debts, and the entire process could take years to complete. Contractors should give careful consideration to making a smart business decision and settling for less than they are owed before they get embroiled in the bankruptcy proceedings. If an out-of-court workout cannot be reached and the developer files for bankruptcy, contractors need to be sure to make every necessary effort to establish their claim and play an active role in the entire process. They should work closely with both construction law and bankruptcy attorneys to ensure that they follow through on every detail in pursuing the matter. Once a contractor is deemed by the bankruptcy court as a secured creditor, they may have a claim for their attorney fees to be redeemed in the bankruptcy if there is any remaining equity in the property. However, if there is no equity, then the lender will have full priority over the property, and the contractor will be forced to pay its own legal fees, which can become substantial for large and complicated Chapter 11 cases. Our South Florida construction lawyers and I are working very closely with many of our contractor clients to help them to make the soundest legal and business decisions in their dealings with financially troubled developers. We will continue to write about these and other important issues for construction businesses in Florida, and we encourage industry followers to enter their e-mail address in the box on the right in order to automatically receive all of our future blog posts.